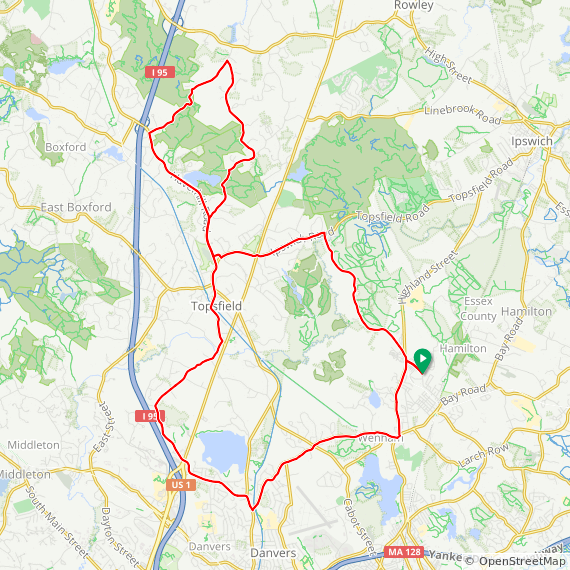 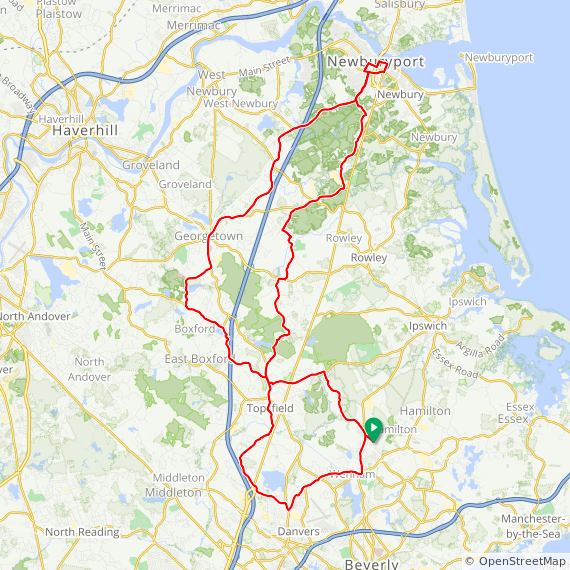 Enjoy some of the nicest cycling in our area. 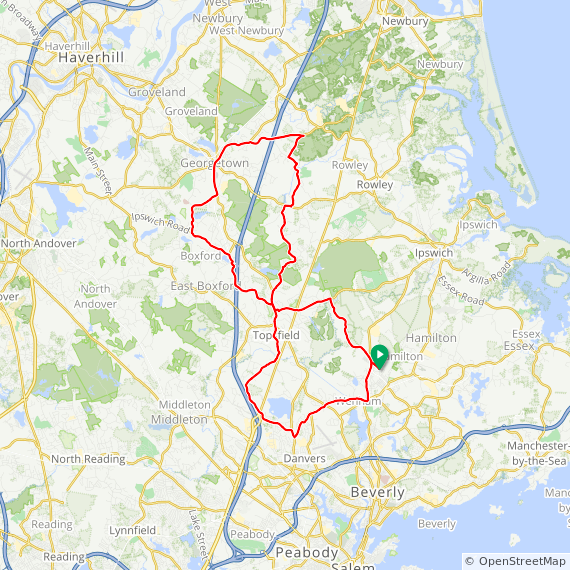 Generally quiet, scenic country roads in Hamilton, Topsfield, Ipswich, Georgetown and Boxford. 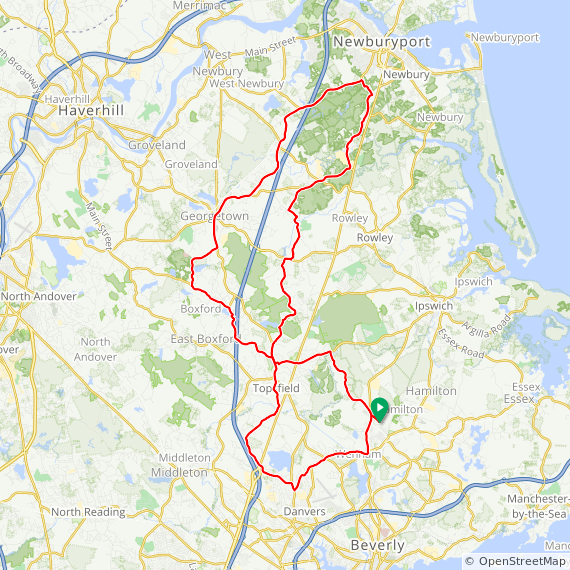 Long ride adds Newbury and Newburyport. 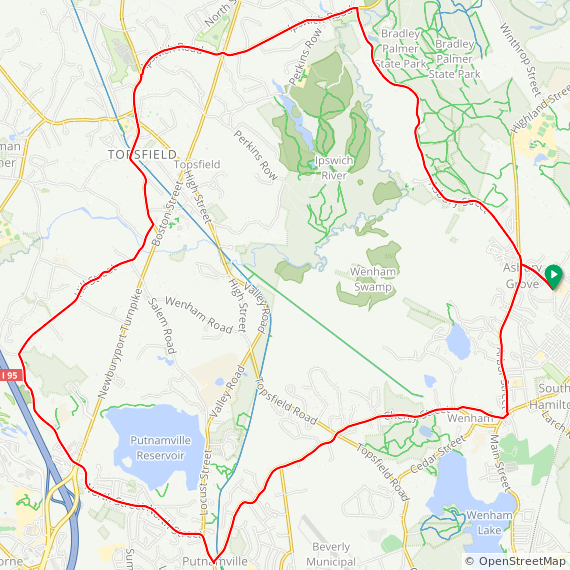 Generally flat to rolling, with a few small hills.